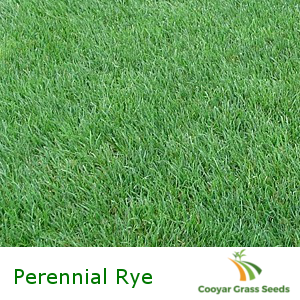 Perennial Rye Grass is quite similar to Annual rye grass. Both grasses are widely popular due to their quick germination and resilience during the winter months. The downside is the grass doesn’t do well in the heat and requires continuous irrigation. Unlike Perennial Grass, Annual has a timed existence. It is commonly used as a companion grass to support another grass during the earlier stages of development and will eventually die off. Perennial grass is designed to be sustainable and won’t die off. This allows the grass to be used as both a companion and individual grass. Sowing Rate: New lawns: 3 – 5kg per 100 sq meters. Areas: South QLD, SA, NSW, ACT, VIC and TAS.